Great festivities at the opening ceremony of The Holy Rosary Primary School, Firhouse playground and sensory garden opening. I was delighted to be invited to the official opening and view what great work has been achieved in the play area and sensory garden. 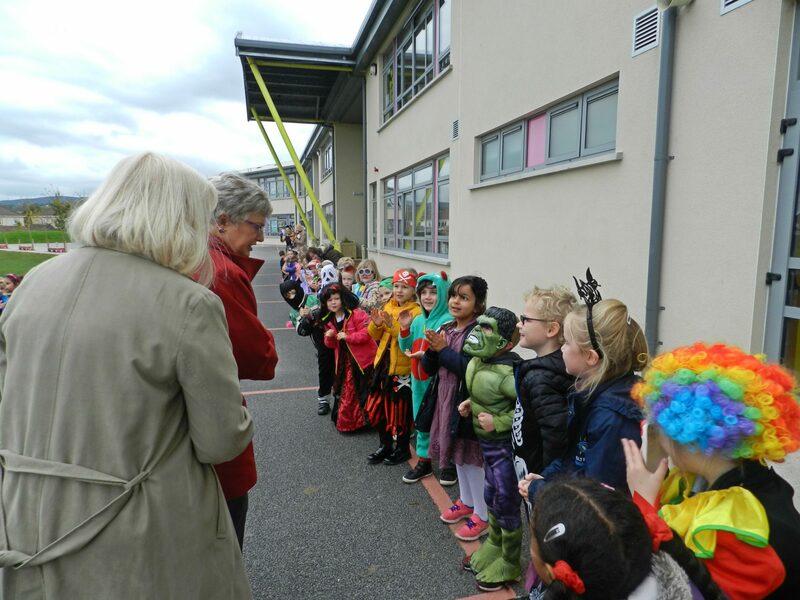 I received a wonderful welcome from all the children at Holy Rosary Primary School, Firhouse and was delighted to be part of the festive celebrations for the opening of the playground and Sensory Garden. Thank you to all involved;the teachers, parents and of course the children with their delighful costumes, music and singing.